Whether you gaze upon it at sunrise or as the day draws to a close, the full majesty of the Acropolis is a constant companion and one of the greatest places to go in Athens. But there are also many luxurious things to do in Athens that take you beyond its iconic landmarks. Athens is famed for its history and culture, but we visited to delve into the luxury experience in the home of democracy. Over three days we sought out the best dining, great quality accommodation, luxuriating spa treatments, the easiest ways to travel around and how to discover the real Athens from the perspective of local people. Arriving into Athens airport we were met in the arrivals hall by a uniformed chauffeur, Anastasios from Limotours. He not only drove us to our city centre hotel in his Mercedes Benz, but gave a running commentary about the landmarks we passed. At the end of our time in Athens he collected us and expertly and safely delivered us to the airport. But what did we do in the in the meantime? 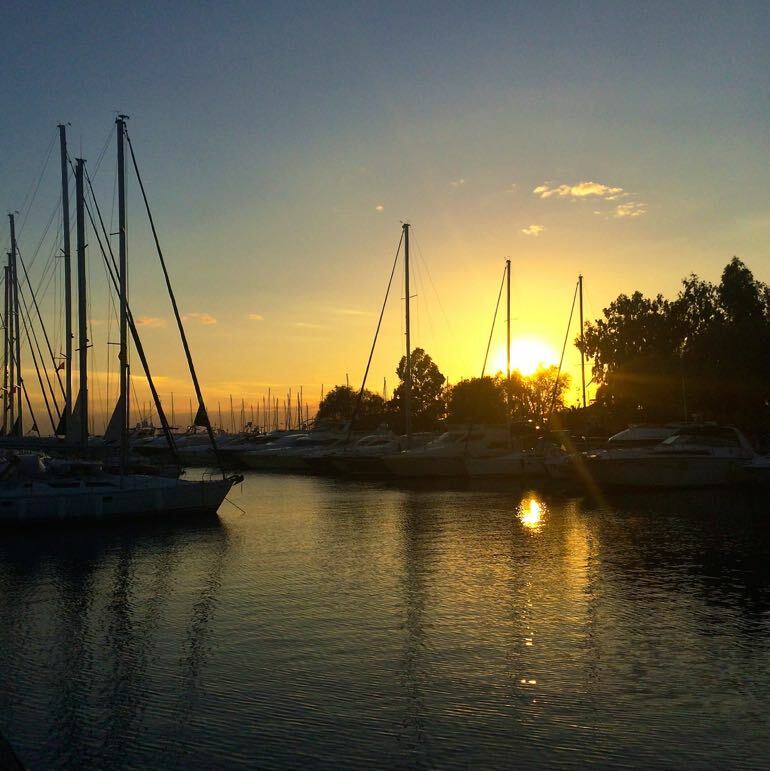 Here’s our take on luxury places to go and things to do in Athens with 72 hours in the city. 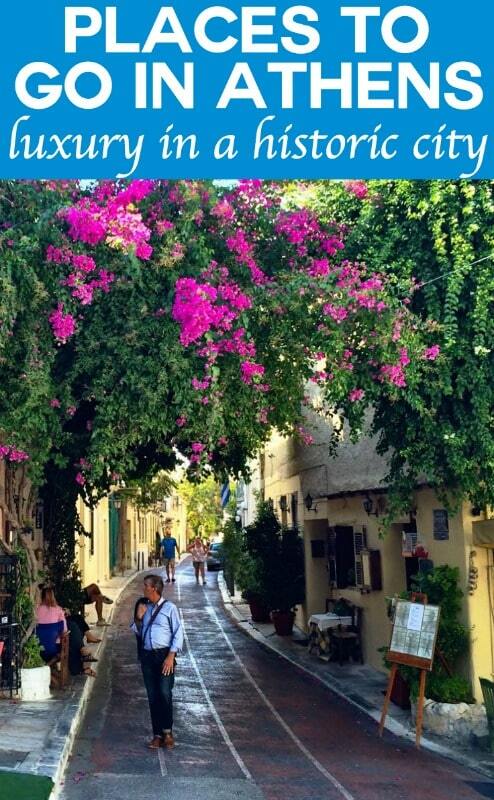 To get a real feel for any city there is nothing quite like a walking tour, and in Athens there is a great local initiative known as This is MY Athens. A free service the ‘This is My Athens‘ tour guides take visitors beyond the tourist trail to get a view and feel of real city through the eyes of a local. Our tour taught us much more than about the city and its people than we’d anticipated – read about our real experience on our Athens tour. 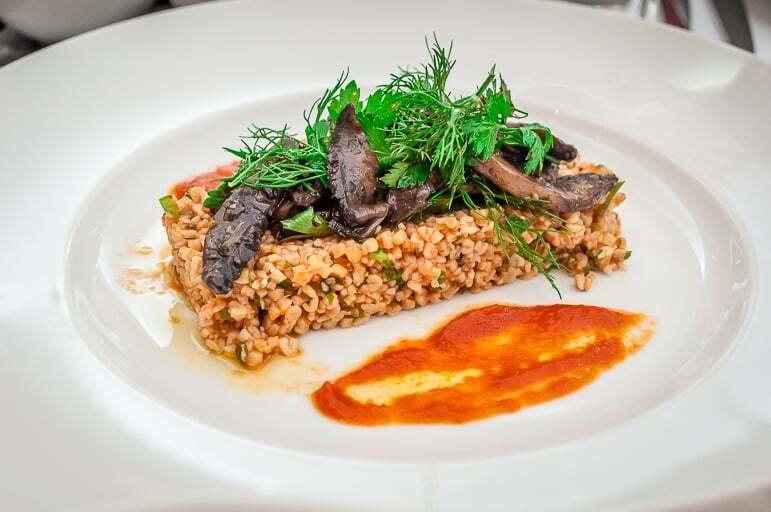 The modern, upmarket Byzantino Restaurant at the Hilton Hotel was our first stop for lunch. Amid the plethora of delights served was a superb Gemista soup – a tomato base with green peppers, onion, garlic, fresh spearmint, grain rice and olive oil, which I could have eaten all day. It was nice to meet the hotel chef, Marina as we were able to compliment her on the delicious food she had prepared. 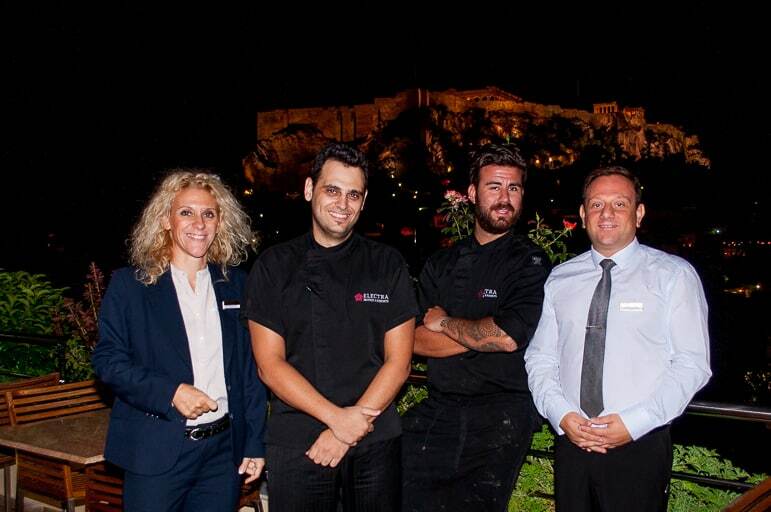 Later that evening we dined at the Electra Palace Hotel’s fifth floor Electra Roof Garden restaurant, with lovely views of the Acropolis. 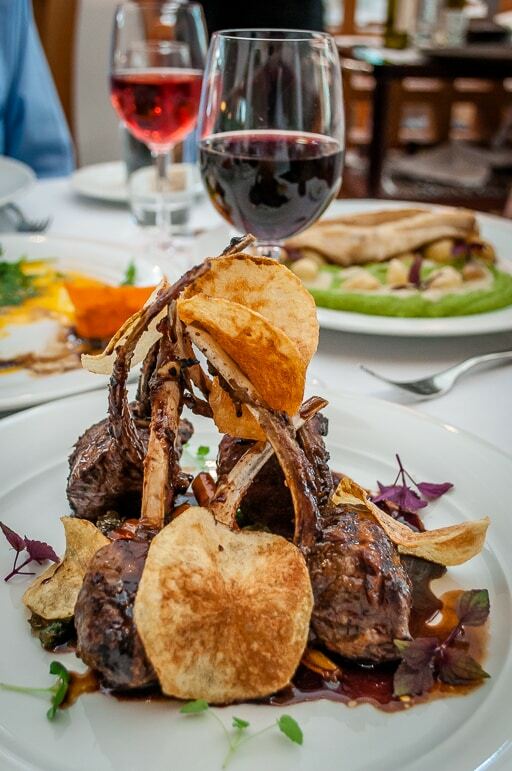 The menu was extensive but we entrusted our choice to head chef, Daniel Tsagazidis. He chose an array of dishes for us, and none of them disappointed. Warm freshly baked bread, olive and black salt was placed before us. 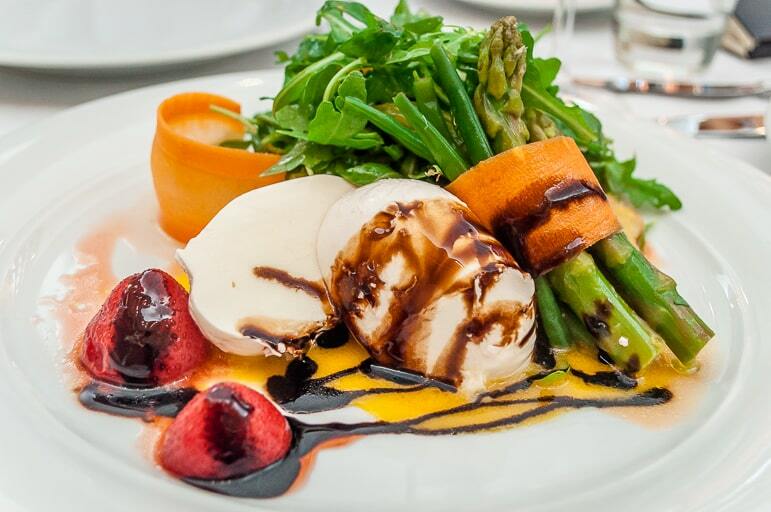 This was followed a beautiful combination of crayfish, wild mushrooms, asparagus, tomatoes and beetroot. 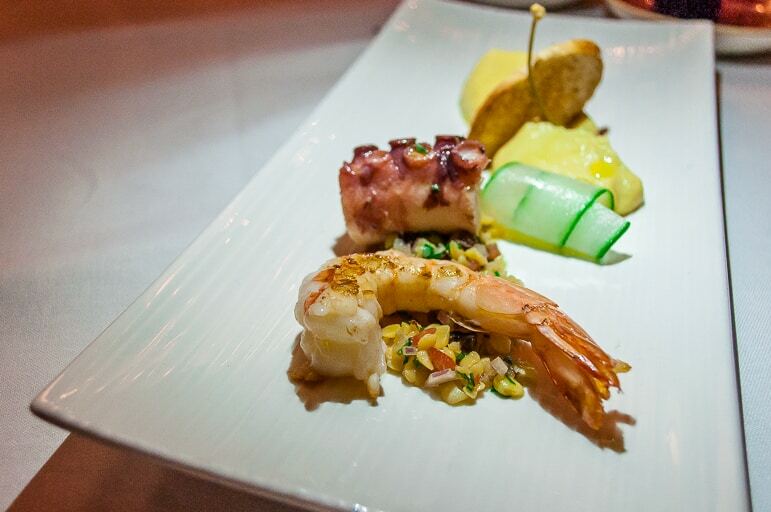 The chef’s next choice was shrimp, octopus, hummus and couscous – and the octopus was the best I’ve ever tasted. The courses kept coming, including a main dish of grouper, lemongrass foam and pasta. A different, but fantastically well-paired Greek wine accompanied each course. Our delightful evening was complete when the chef and his sous chef Xaris came to our table to say hello and talked about their gastronomic philosophy. 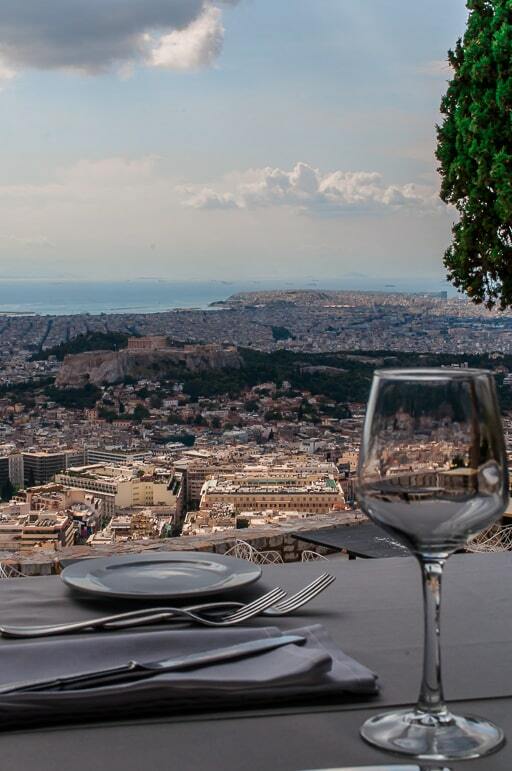 For the views alone, one of Athens’ best restaurants is Orizontes, at the top of Lycabettus Hill. Accessed by a funicular, Orizontes sits at the top of Athens’ highest hill. 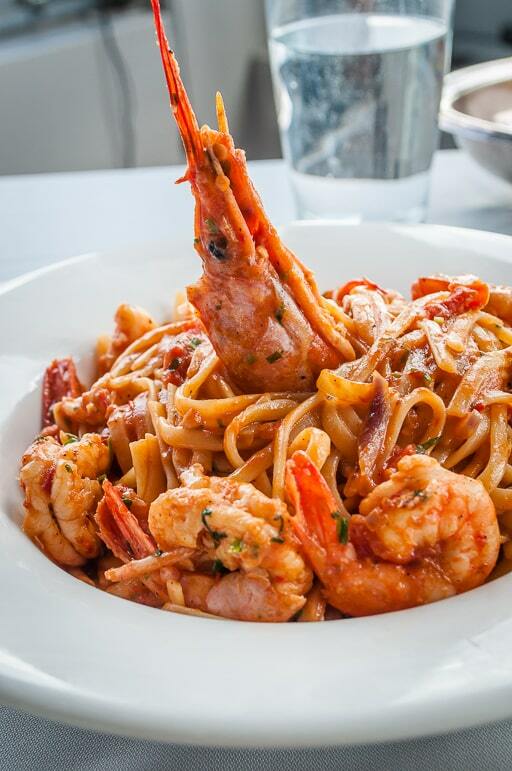 We had a lunch there of linguine with shrimps, and squid risotto, all washed down with a light white wine from Northern Greece. The food was very good, but the views over the city and beyond, out to to sea, are simply glorious. 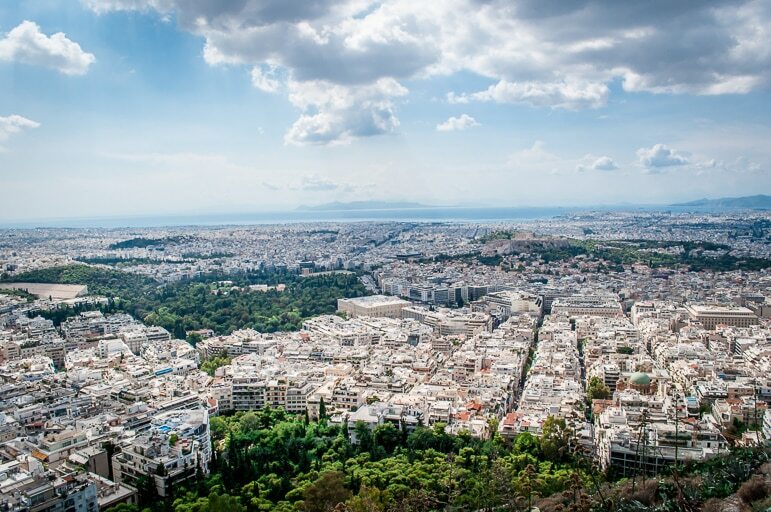 We were easily able to pick out Athens’ landmarks, including the 1896 Olympic stadium, the Temple of Olympian Zeus, Syntagma Square, the Acropolis and so much more. The serene roof top restaurant at the iconic Grande Bretagne Hotel serves great food and had an extensive selection of fine wines. 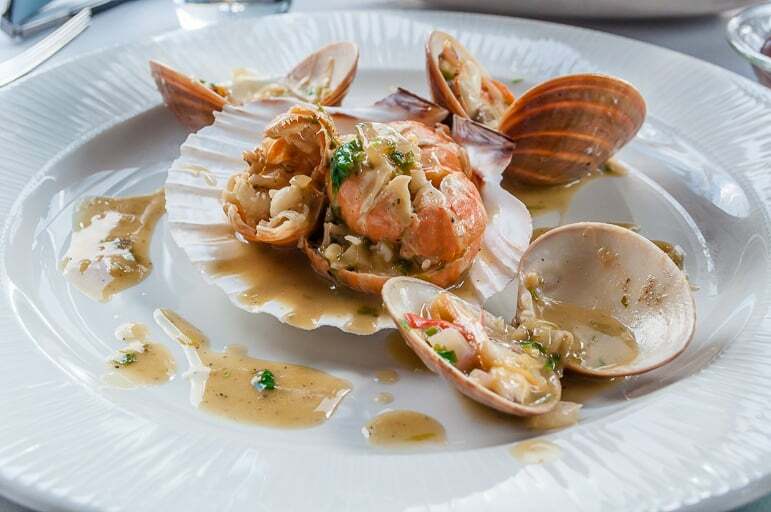 We followed its brilliantly zesty fish carpaccio with lobster with ravioli and grouper fillet, all cooked to perfection. After dinner we noticed the restaurant has a designated selfie spot. Snapping to your left gives you beautiful shots of the Acropolis and to the right fabulous views over Syntagma square and beyond to the hills surrounding the city. Yes, the ubiquitous selfie is now an integral part of the experience. 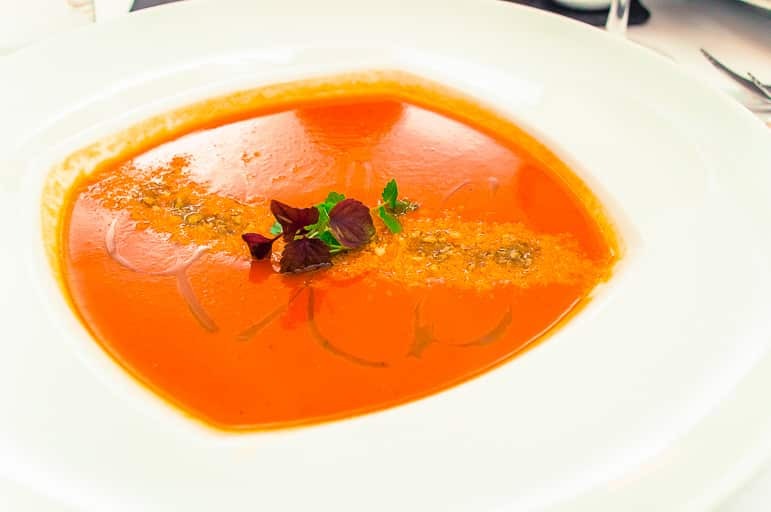 If your preference is for fish consider one Michelin-starred Varoulko away from the city centre, in Mikrolimano Marina. We dined in the evening when it was already dark, but during the day it has Aegean views. Varoulko focuses purely on fish. Our starter was a fish soup, followed by a broth. 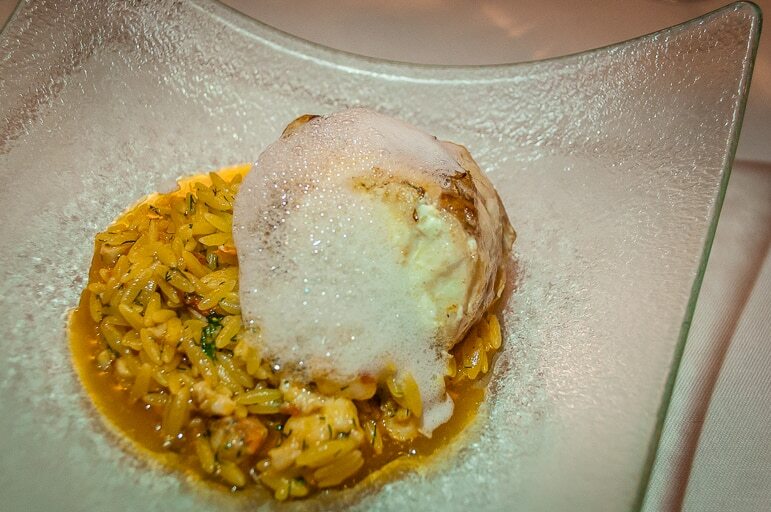 Other dishes included dorado with tomato marmalade, cuttlefish, and dill foam stuffed cabbage with crayfish. It is worth noting that the restaurant has two dining rooms, smoking and non-smoking – don’t find yourself stuck in the wrong room as we did, else your meal could be ruined. 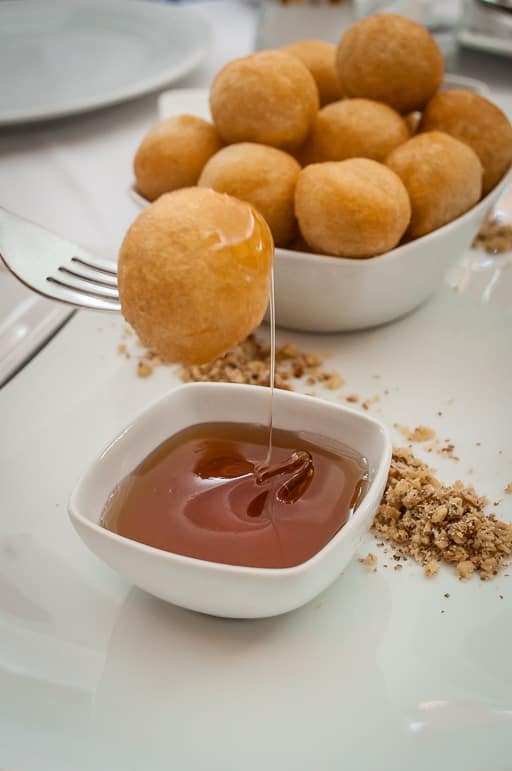 Got a taste for food in Greece? 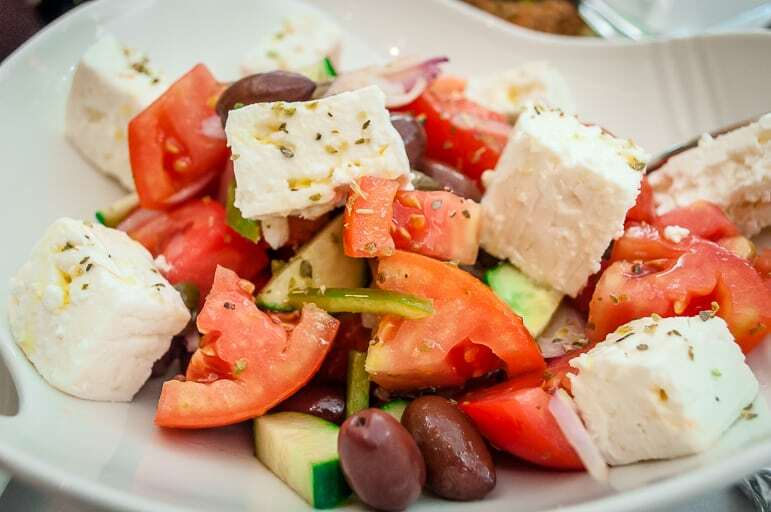 Discover more about Greek cuisine and Athens’ top restaurants. 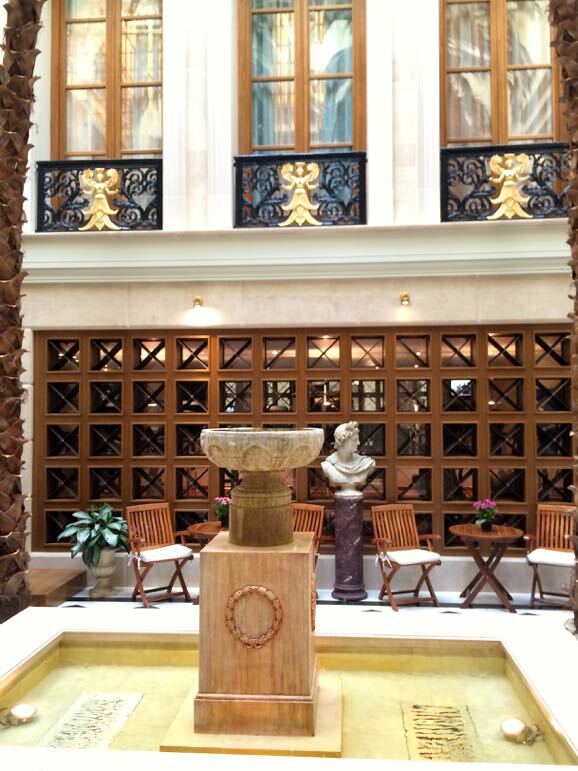 After a couple of days taking in Athens’ sights and experiences we headed for a little us time – an afternoon of sheer indulgence at the Divani Apollon Palace & Thalasso Spa near Vouliagmeni, roughly 30 minutes drive from Syntagma Square. The Divani Apollon Palace is an luxury hotel, with a large and very impressive Thalasso pool and spa. However for regular spa-goers we made a rookie error in not taking swimwear, as we only had treatments booked. Not realising time in the Thalasso pool was a must. But the excellent staff didn’t let that impact our time there. Instead they organised for us to have very soothing hydro-massages. Lying back in a salt water bath, jets of water gently but firmly bombarded our bodies for 20 minutes, leading us down the first path of relaxation. We then wrapped up in towels and enjoyed the sauna and steam rooms. Then we were ready for our next luxurious treatments. Sarah had a 75-minute Apollo Massage, in which the therapist massaged her first with her hands, then different sizes of bamboo and finally hot stones. So relaxing was it that she fell asleep and remembers little of the treatment. However, she described the massage as “pampering personified”. I enjoyed a 90-minute Thalgo Indoceane therapy. My talented therapist, Mina, told me the treatment stems from the Orient and involved an aromatic peel, Ayurvedic massage and a warm silk body wrap. By the end of it, I could barely summon the energy to get off the table, all I wanted to do was snooze. 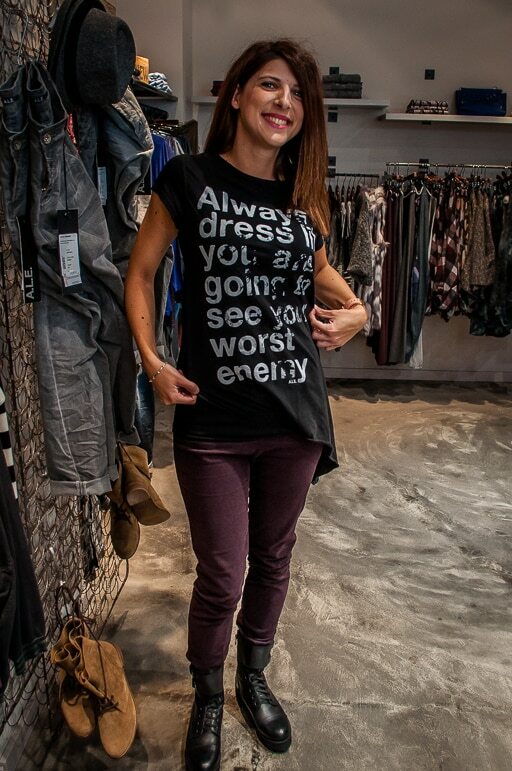 I must admit neither Sarah or I have ever considered Athens a major shopping destination – until now. 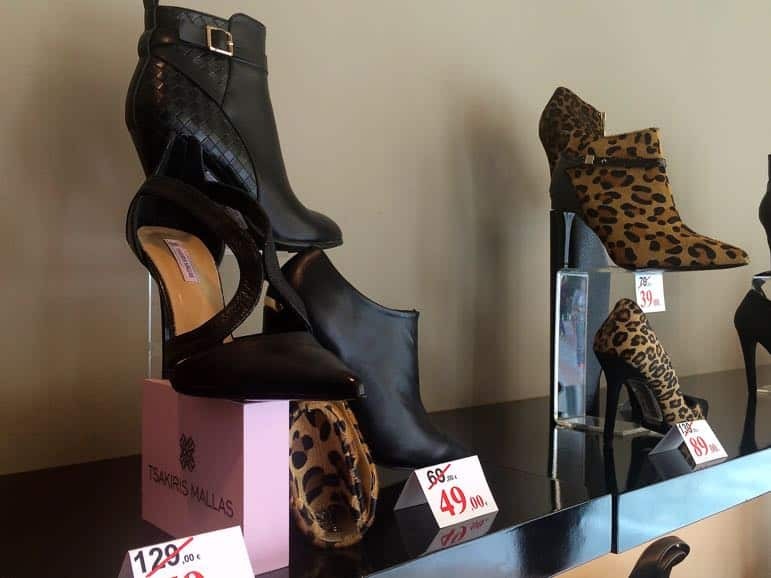 Taking a 25 minute run outside the city to McArthur Glen Designer outlet, we found a paradise for shoppers, particularly as many of the well-known brands offer 30-70% discounts. McArthur Glen is designed to look like a modern village and is easy to get around. Which is just as well as there are over 100 boutiques there. It included international brands including Ralph Lauren, Tommy Hilfiger, Hugo Boss, Versace, and many more. There are also a variety of excellent Greek labels. 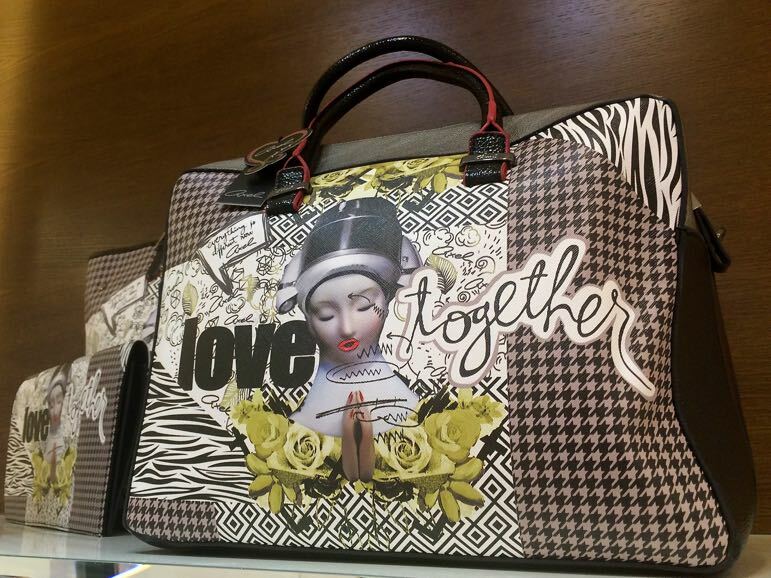 Sarah found a handbag at Greek brand, Kem. 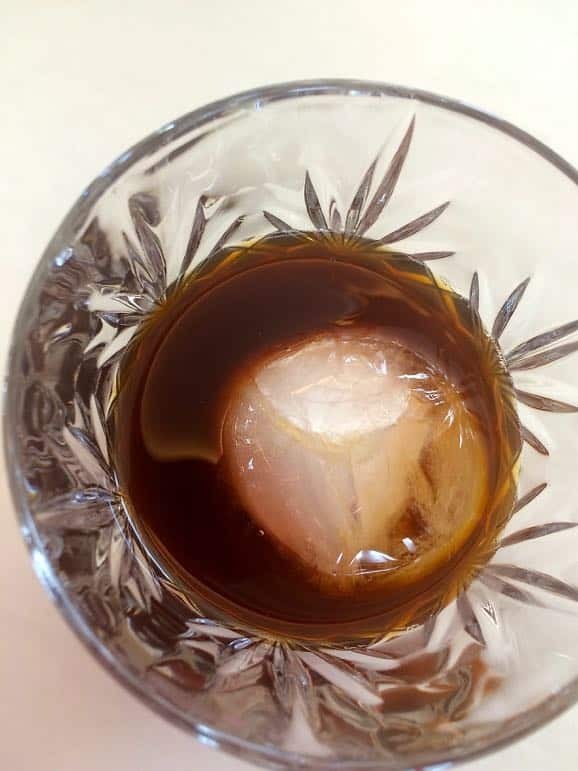 And when we needed to rest our weary feet we dropped into Il Barretto, one of a number of cafes and restaurants, to try the cold brew coffee – a specially brewed glass of black coffee with a big round ice cube in it. If you visit McArthur Glen, go to the tourist information desk on the ground floor on arrival to pick up a fashion passport offering yet more discounts. 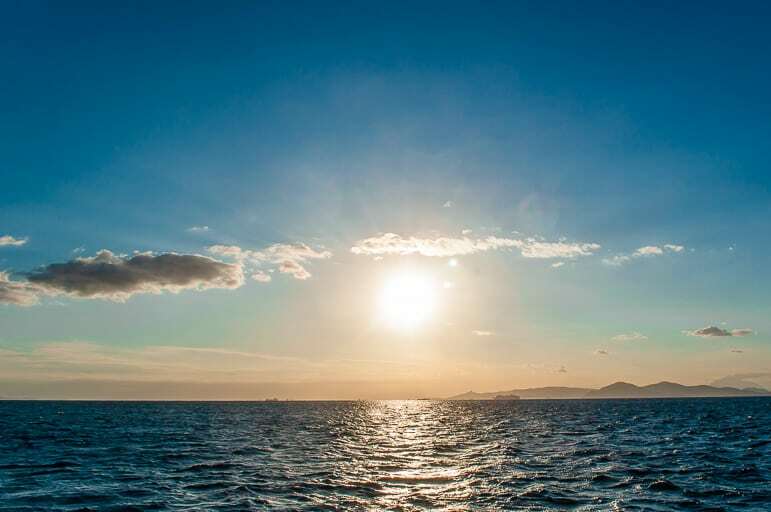 To take a yacht out on the Aegean sea or indeed any sea must rank highly as a luxury experience and that is exactly what we were able to enjoy while in Athens. Our thanks must go to Vernicos Yachts for a fabulous time aboard their yacht the Sea Star. This 57 foot vessel motored out of Alimos marina and then, our expert crew unfurled her sails to let the sea breeze guide us as we swept along off the Athens shoreline. With the afternoon sunshine warming our faces, the extraordinary hush that only the sea or desert can bring descended on us. The sense of relaxation and contentment was almost overwhelming, as we cut through the Aegean sea with only the odd seagull for company. Accompanying us onboard was Dimitra Barbagianni from Vernicos, she explained all about the Sea Star and answered our nautical questions. A local of Athens and with a love of the sea, she was as at home here as any captain could have been. 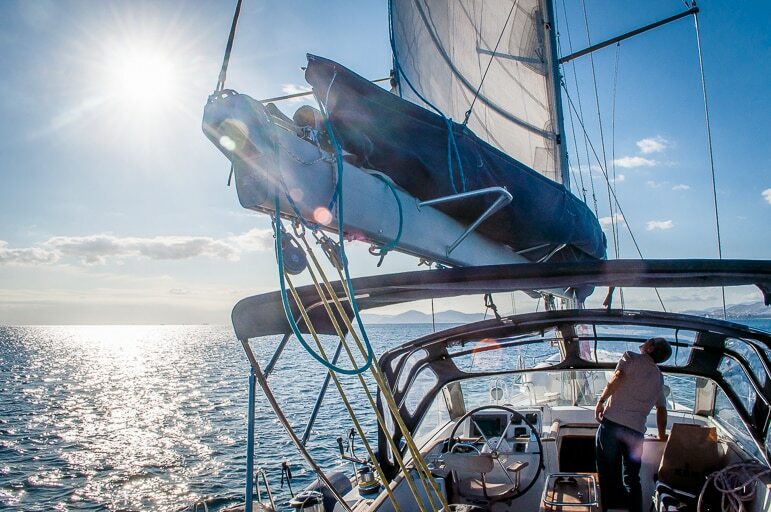 If you already have your sea legs, or want to get them, then you can charter a yacht for a day or much longer, the choice is yours and your wallet. Our Athens trip was also our first introduction to the Taxibeat service. It’s a fabulous taxi app that enables you to get around the city. All you have to do is download the app and request a taxi – either the closest to your location, or one you’ve used before that you liked – Taxibeat allows you to rate drivers and store your favourites. Taxibeat locates you on the map and sends the car and driver of your choice to pick you up, it even tells you when the taxi has arrived. Some of the cars even have free wifi, and after the journey you can rate the experience in your feedback. All in all we found it an easy system and very useful way to arrange travel tremendous experience and will certainly be using it in future. 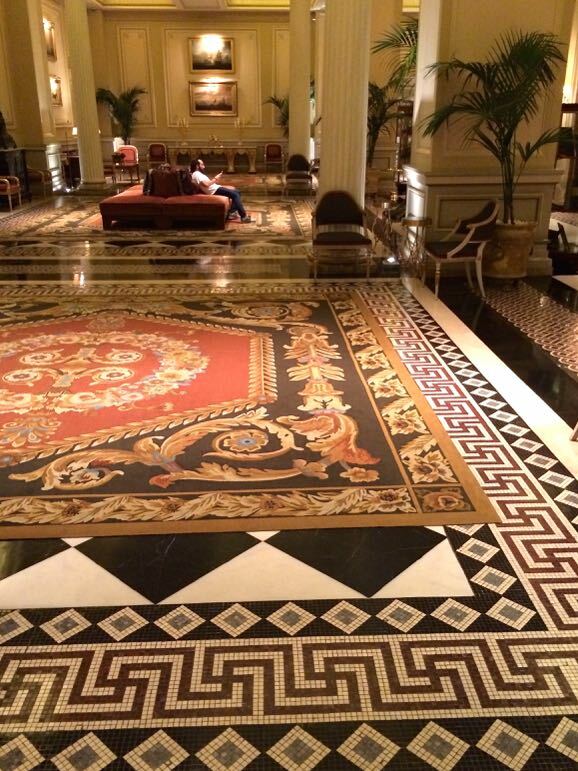 The Grande Bretagne is an elegant, graceful hotel, which is just full of old world charm. Centrally located in Syntagma Square, the Grande Bretagne, which is part of Starwood Hotels, is regarded as the best hotel in Athens. Walking through the entrance we were immediately struck by the beautifully refined lobby, full of, antique ornaments and paintings. 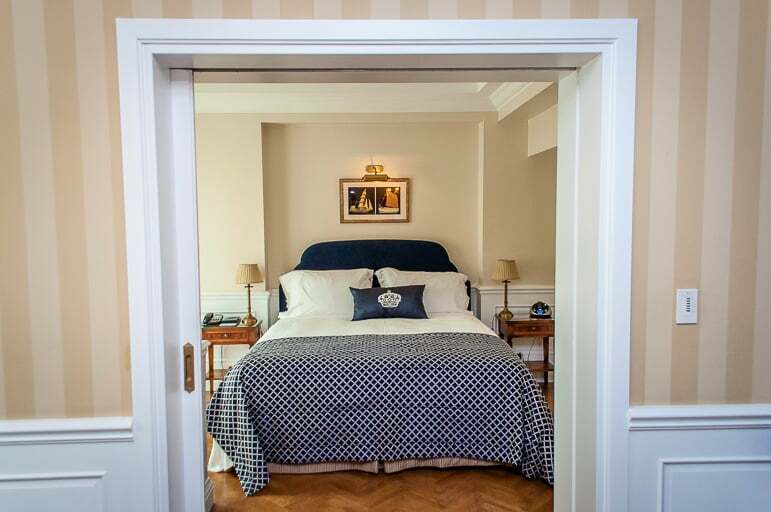 Our room, overlooking Syntagma Square, transported us back to an era of genteel sophistication, while at the same time enjoying all modern conveniences. The hotel packed experience upon experience, from dinner at GB’s Roof Garden, to fantastic relaxation in its spa. There was a large warm pool as well as numerous saunas and steam rooms. We didn’t have time to try any of the treatments, but it’s on our list for next time. Next door to the Grande Bretagne is the King George hotel, which we also stayed at. Another Starwood Hotel, the King George brings more accessible sophistication compared to the unbridled decadence of the Grande Bretagne. The King George is a 102-room rather gracious and grand hotel dating from the 1930’s. Our room was very large with a separate living room and bedroom. 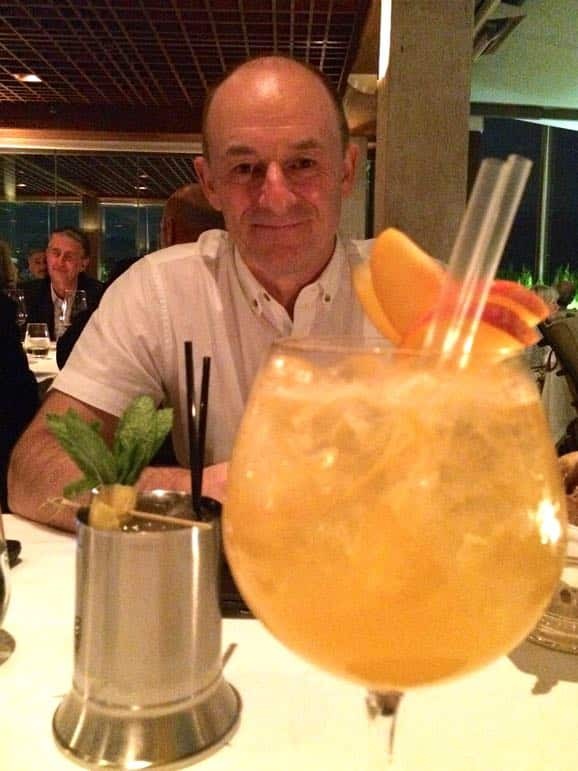 The roof top bar was a very convivial place to enjoy evening drinks and has lovely views over the city. 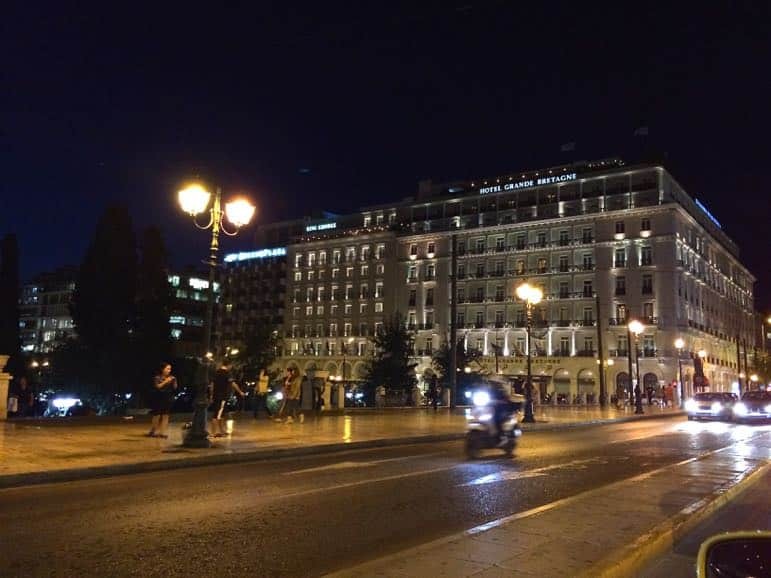 As it is located in Syntagma square it is superbly placed for getting around the city. 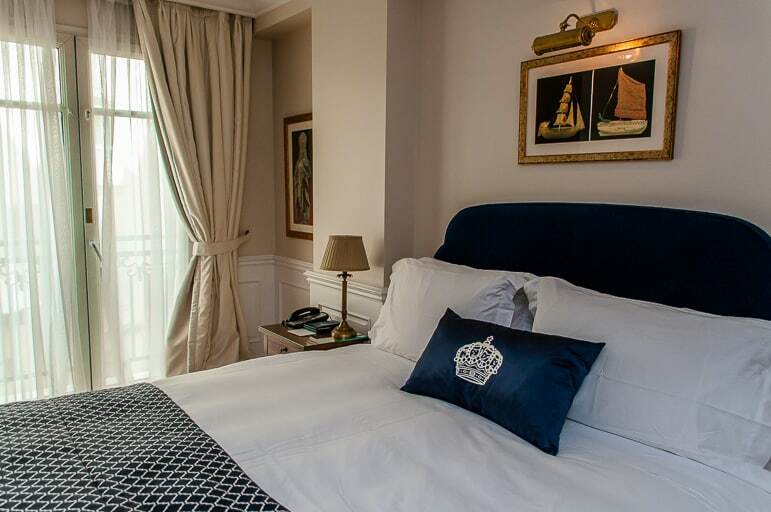 Guests at the King George can also use the facilities of the next door sister hotel the Grande Bretagne. Beyond the spa area, the Divani Appollon Palace is a lovely hotel and sited next to the beach at Vouliagmeni. 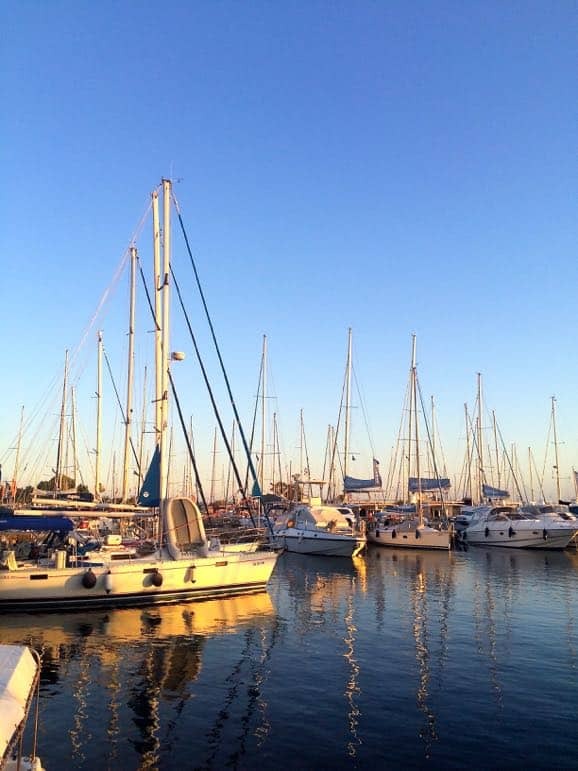 It’s ideal location, if you are looking for luxury places to go and things to do in Athens, or just fancy a stay on the Athenian Rivera. In a city of such history the New Hotel has an interesting modern design, befitting for a member of the Design Hotels group. We only called in for a light lunch, but were struck by the design work in the restaurant, where great use of recycled wood has been made to create attractive artwork. The whole hotel has a fresh and trendy look and feel to it. Above is a little taster of what you can sample over a 72 hour period, the choice of exactly what to do and where to go is yours, just be assured that Athens is waiting for you, with open arms and a very warm embrace. 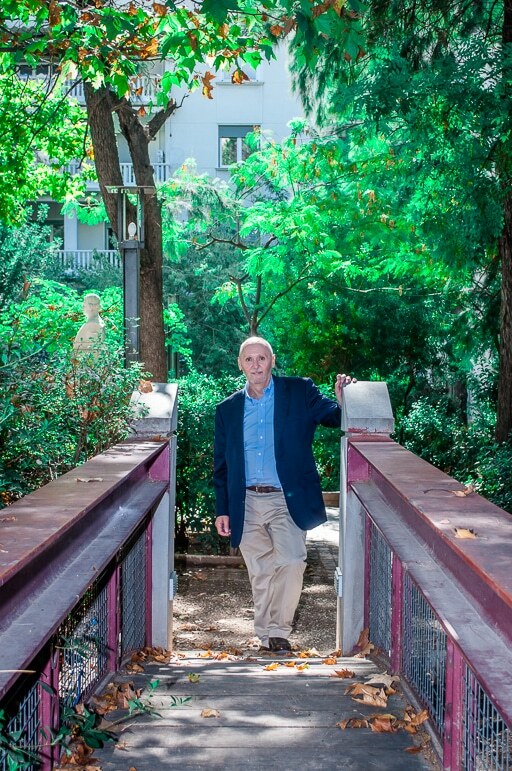 I visited Athens as part of a project sponsored by Athens Convention & Visitors Bureau organised by Toposophy. 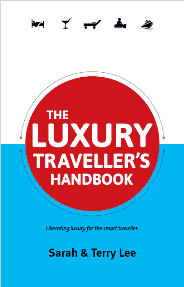 Find out more about the themes being covered in the project from luxury to food connoisseurs, solo travel, culture and nightlife on the Who Do You Think You Are site. All views expressed are entirely my own. Ha ha… well, when in Greece, eh!? Miss you too Jen! Did the handbag that she bought have a brand? 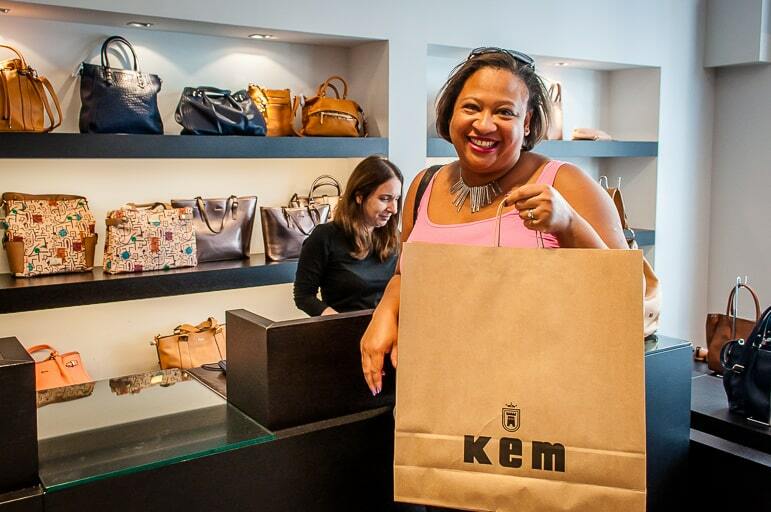 Hi Ebony – I got this bag in Kem, but really Macarthur Glen in Athens is a great place to go if you’re looking for Greek designers, they have a whole section with local designers in it. Good luck with your search!